Hope this helps. I've tried to make it as clear as possible within one sheet. This downloadable teaching material is meant for high school students and adults at Pre-intermediate (A2) and Intermediate (B1) level. 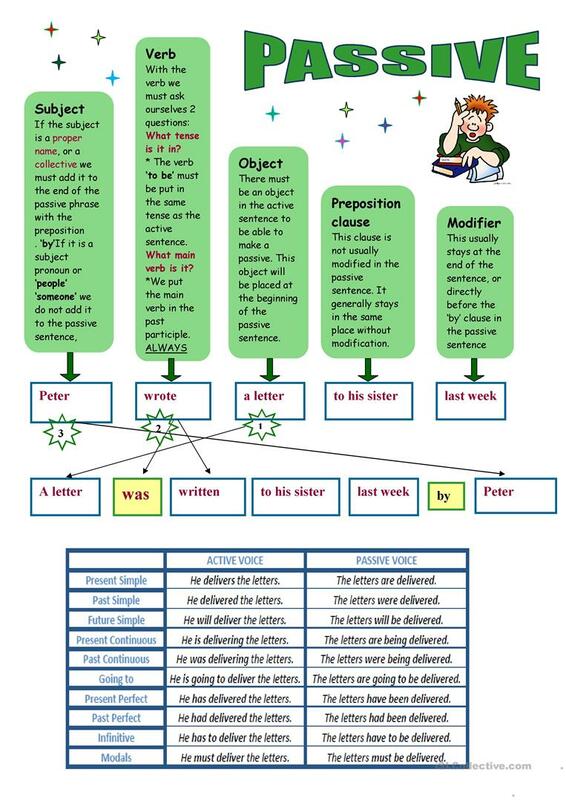 It is aimed at teaching Passive voice or active voice in English.